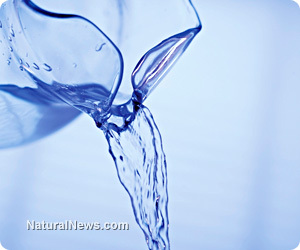 (NaturalNews) "Water composes half to four-fifths of you, depending on how much body fat you have. It makes up about 85 percent of your brain, 80 percent of your blood, and 70 percent of your lean muscle. The human body, like all living organisms, survives by means of an ongoing flow of energy. You are an engine, and water is your fuel, coolant, and lubricant. Water keeps you running," states Suzanne Winckler in the UC Davis publication Groundwater. Generally, health-conscious folks are well aware of the importance of proper hydration. And yet, with so many options for water purification and enhancement, the question remains - which water is best? Raw foods guru David Wolf endorses spring water in glass jars, as does nutritionist and natural health advocate Daniel Vitalis. Brian Clement of the Hippocrates Health Institute recommends a living water system, while Gabriel Cousens, M.D., favors distilled water which has been restructured. "Recent epidemiological studies of an ecologic design among Russian populations supplied with water varying in TDS suggest that low-mineral drinking water may be a risk factor for hypertension and coronary heart disease, gastric and duodenal ulcers, chronic gastritis, goiter, pregnancy complications and several complications in newborns and infants, including jaundice, anemia, fractures and growth disorders." - Health risks from drinking demineralized water, F. Kozisek, WHO guidelines for drinking water quality. Vitalis classifies reverse osmosis and distilled water as the "white flour" of water. Nevertheless, removing pharmaceutical and industrial waste, heavy metals, chemicals, fluoride, radioactive particles and chlorine from drinking water is exceptionally important. How do we strike a balance? Dr. Cousens suggests a distillation process to remove toxins, and then restructuring the water with trace elements through small amounts of unprocessed salt. Both Wolf and Vitalis advise finding wild water that is free of pollutants - that is, an aquifer-fed spring. If you like the idea of spring water from the source, have a look at FindASpring.com. If a natural spring is unavailable in your area, or simply too much of a hassle, the next best thing is to recreate it with a living water system. Specialized copper pipes contain a spiral interior which mimics the movement of springs and rivers, thereby restructuring the water into clusters. Proponents believe that this clustering makes the water more bioavailable. The system also increases the level of dissolved oxygen and reduces a variety of contaminants. Lastly, there's alkaline ionized water. Nobel laureate Dr. Henri Coanda spent six decades studying Hunza water and discovered that it had a unique viscosity and surface tension. The water also had a high, alkaline pH, exceptional active hydrogen and abundant colloidal mineral content. Based on this research, Japanese scientists endeavored to recreate Hunza water using Russian electrolysis technology - which gave birth to ionized water. Regrettably, many, including Lawrence Wilson, M.D., feel that ionized water falls short of true spring water and should be avoided. Dr. Wilson notes that "[s]pring water passes over rocks in the earth and picks up various minerals, which affect its pH. Good spring water usually has a slightly alkaline pH of about 8 or even 8.5, but not much more." In contrast, ionized water can have a pH of up to 12 or 13, which isn't considered healthy.